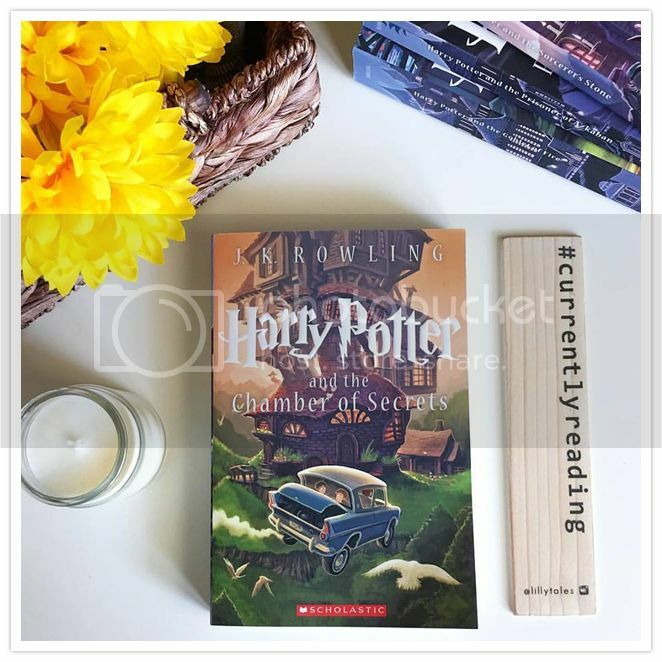 If you've read my post for Harry Potter and the Sorcerer's Stone, you'll know that this year I've challenged myself to read and finish ALL of the books in the Harry Potter series. I read the first four books a few years ago, but never finished the series, so I'm going back and rereading them all, and I'm determined to finish ALL the books before the year is up. 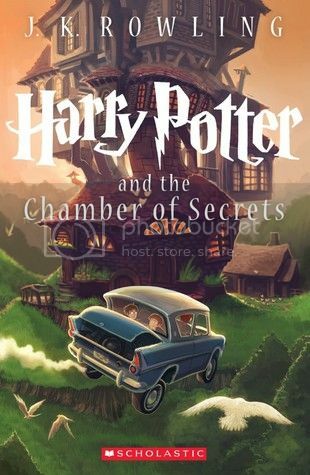 This is my second time reading Harry Potter and the Chamber of Secrets. The first time I listened to it in audiobook format, as I did the first book, but this time I read the actual book, and enjoyed it So much! I love diving back into this world, and I get excited every time I open a new book. These books just get better as time goes by, and I'm really looking forward to reading the rest of the series. One of the things I love most about these books is the friendships. Harry, Ron and Hermione are such great friends, and I love watching their friendship grow more and more throughout the books. They really do have a special bond. There are so many great, well written characters in this series, it's hard not to completely love them all, and I enjoy meeting the new characters as well. The storyline for this book was just as fun as the first book. I love following my favorite characters as they go on adventures throughout the story. The setting is another one of my favorite things. Can I please go to Hogwarts already?? Like with the first book, I was hooked, and I literally flew through the pages faster than I intended to. I really wish I had read this series when it first came out, I'm really kicking myself for not having done so. BUT, it's never to late to start! Overall; two books down, five more to go! I'm enjoying this journey with the Harry Potter books SO much, and I'm really kicking myself for not having read and FINISHED the series sooner! I have a pretty massive TBR this month, but I'm hoping to squeeze in a few more Harry Potter books as well. I adore the Harry Potter series. I just finished binge watching all the movies in a few days. I think this winter I'll try reading the books again. Have fun reading the rest and watching the movies with your kids!